So, you’ve managed to secure a place with the University of Melbourne. That’s great. On top of that, you’ve just flown over 10,000 miles, enjoyed and are just about ready to collapse from jet lag. In spite of all of that, things are looking pretty good, you should feel proud of yourself for getting so far (I know that I’m excited for you). BUT before we can kick off your dream exchange, we need to get you a base for the next few months, a place you can kick back and relax in between your Australian adventures. See the University of Melbourne website for information about University Colleges and other student only accommodation options. I thought that returning to uni after a whole year away would be tough. This year counts for 67% of my final degree (a little different to last year’s pass or fail requirement!) and over the summer I watched loads of my friends graduate from Manchester. I’ve been a little concerned about adjusting from a pass or fail year to my crucial final year as well as wondering what would remain of my social life back in Manchester. Despite my concerns, returning to Manchester has been fine, great even! There are far more people around than I had expected; it turns out that a surprising number of people did a year abroad and quite a few are doing a masters year. This is nice as, although a lot of friends have graduated, I’ve grown closer to other people who are still around. Also, those of us who have been abroad from Psychology have already made contact and have been sitting together in lectures. 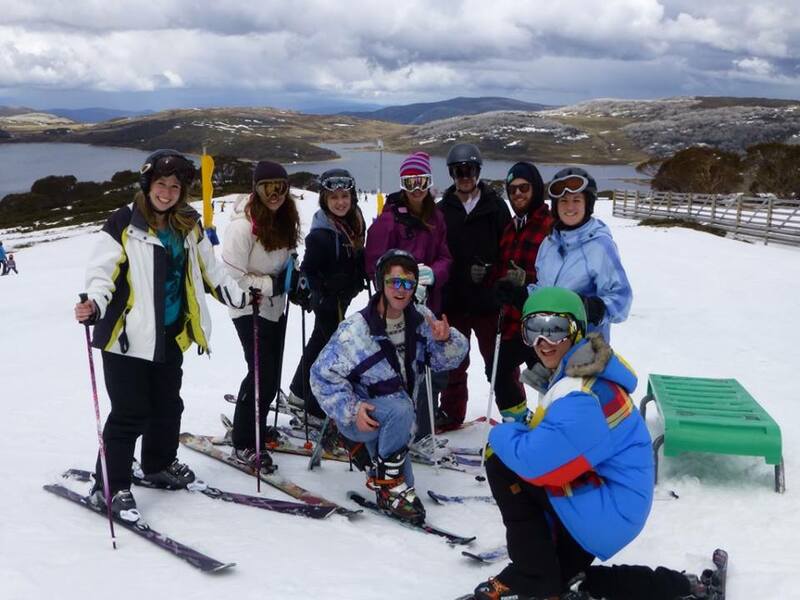 It’s been good not to feel like the newbie on a course where everyone else has had classes together for two years. I’ve loved hearing about where everyone has been, from America to Canada to Australia, what our experiences were like and how they differed. Although the academic year has only just begun, I already sense a change of attitude in the people around me as everyone has developed a really strong work ethic. Because most people are either final year or masters students, partying has been seconded to working hard, which feels like a good environment to be in. For me, I feel like my year abroad has made me a lot more driven. After seeing many friends graduate and be launched into the real world, I’ve seen the importance of working as hard as possible in my final year, as well as continuing to beef up my CV in preparation for job applications. Being away has given me a bit of a breather from the intensity of my degree, so that I’ve returned feeling refreshed and ready to take on final year. Fingers crossed all goes well! By Anna Powell (University of Melbourne, Australia). I know that everybody says it, but I can’t believe how fast this year has gone. It’s been over a year now since I was saying goodbye to friends and family and boarding a flight to Australia, feeling somewhat unprepared and apprehensive about what to expect when I would land over 10,000 miles away from home. I remember my arrival as a whirlwind of activity. 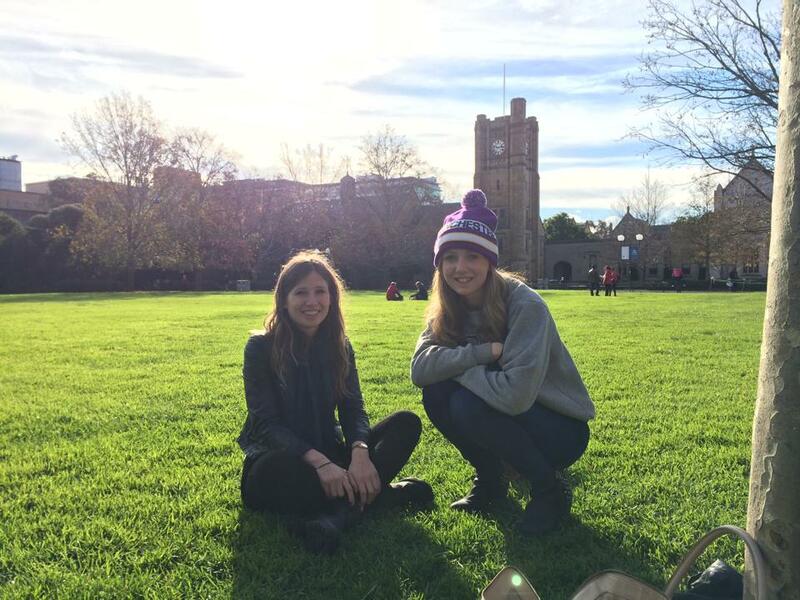 Melbourne Welcome Week was intense; I stayed at Trinity College with other exchange students from across the world and we were shown the city by local students. It was such a great few days, but after it had finished I didn’t have a plan. I’d expected to meet potential housemates during the week, however nearly all the friends I made had already arranged their accommodation prior to departure. I moved myself into a hostel and shortly after, uni began. This was a really stressful time, as I was juggling finding a house, familiarising myself with the city, starting my classes as well as trying to catch up with my friends from Melbourne Welcome, who were now spread right across the city. After such a busy week, the lack of social contact was hard for me. All of a sudden, I had a lot of time to think about my situation and I began to miss home horribly. Whilst in my dingy hostel, I’d hear about all my friends and family from Manchester and home who were on summer holidays, going to festivals and most importantly, together! Meanwhile, I was feeling sorry for myself in a drizzly version of Australia I hadn’t envisaged when setting off. 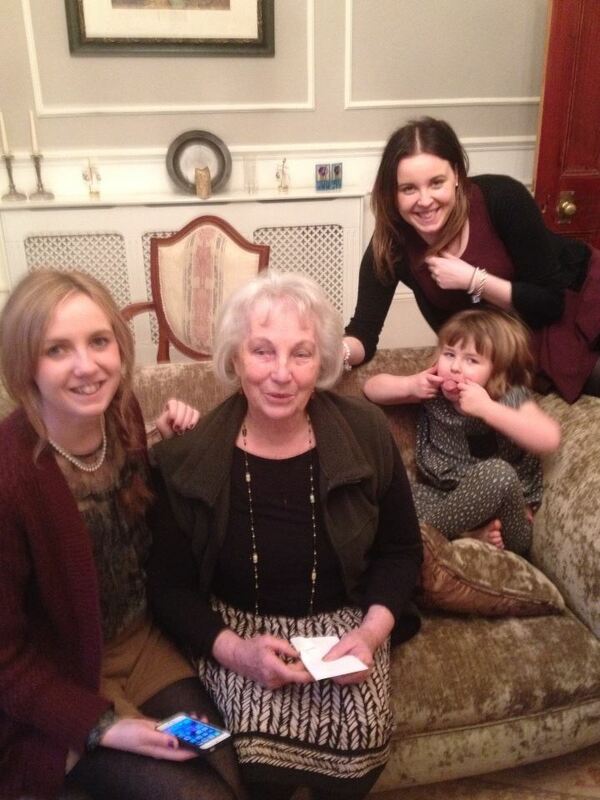 Even worse, I discovered that my Gran had fallen ill. I’m incredibly close to my Gran and before I’d left I had worried about her how her health would be during my year away, so hearing the unexpected news that she was in hospital and awaiting heart surgery made things 100 times harder. All I wanted was to be at home. Luckily, things soon picked up. I got an offer to move in with a group of Brazilians that I’d met during Melbourne Welcome Week and I jumped at the opportunity, and having my own room felt amazing after my time in the hostel. 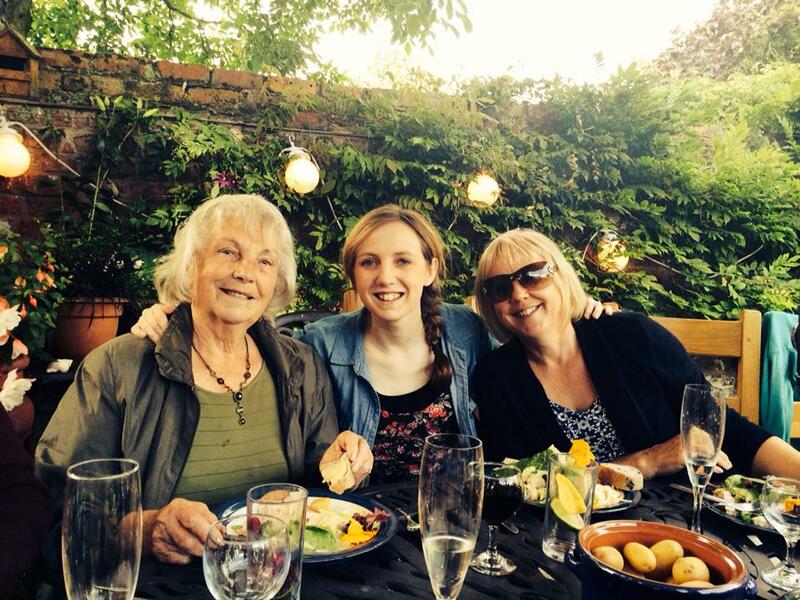 My Gran’s surgery was successful and I began to hear news of her feeling better than ever, which helped me to relax and actually enjoy life in Melbourne without feeling anxious and guilty for not being at home. The Exchange Society put loads of social events on for us and I was enjoying my classes, so soon I’d cheered up considerably. Still, life in Melbourne took some getting used to. 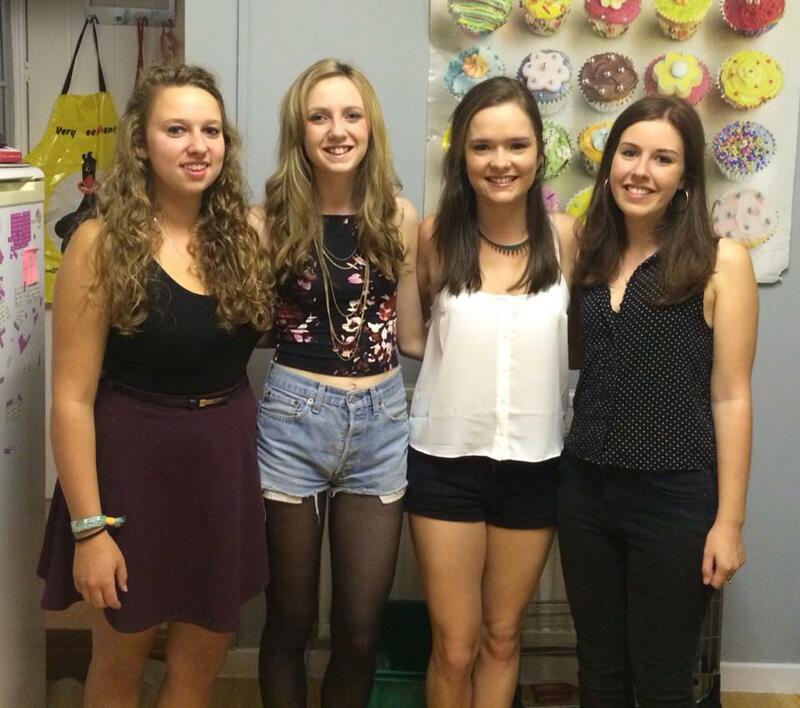 It was strange not living in a student area like Fallowfield in Manchester. 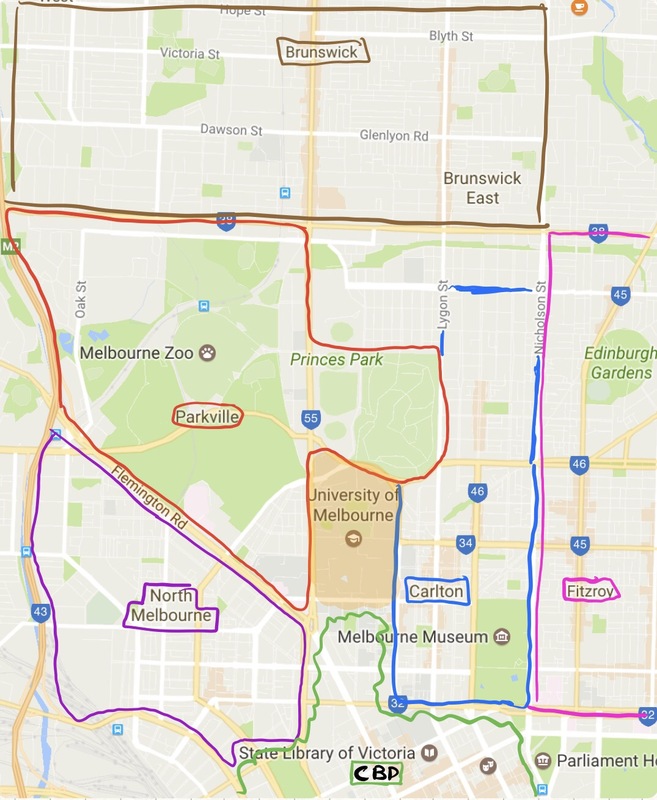 A lot of local students live at home in Melbourne and so there is no particular student area. Where I was living was a mixture of families, a care home and apartments for young professionals and so it had a very different dynamic compared to Manchester, there was certainly not a house party on every street! Furthermore, going out in Melbourne is extremely expensive and so I found myself going out far less than usual. 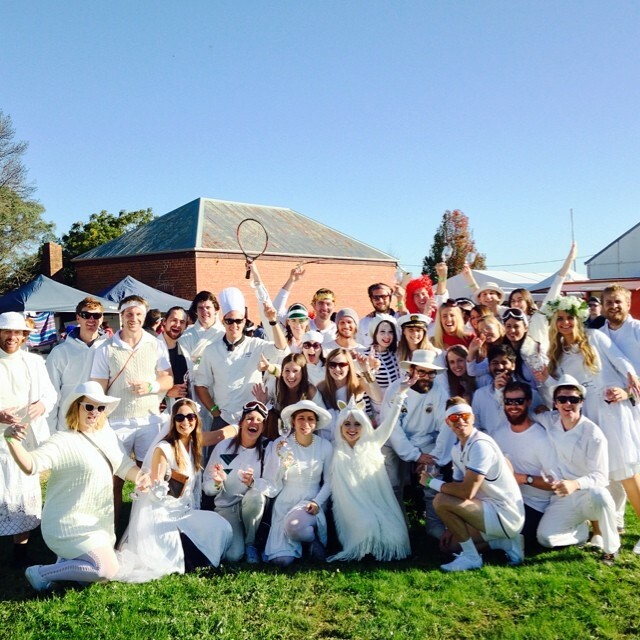 But soon, I began to adjust to Melbourne living, going to laneway bars, brunch and coffee, great Asian food, live music events, all balanced with working hard at uni – I found the students at Melbourne very hard working compared to Manchester. It felt like I was really living in the city of Melbourne and experiencing it for what it is, as opposed to living in the student bubble of Fallowfield and my time there being a blur of partying and cramming for exams. By the time I left for Christmas, I had fully settled in and was sad to see many of my close friends leave for home – they were only doing one semester in Melbourne. At the same time however, I was really excited to spend Christmas at home with my family, followed by a two-month trip around South East Asia, so leaving wasn’t too hard. I won’t go on too much about my time in Asia, there’s too much to say! 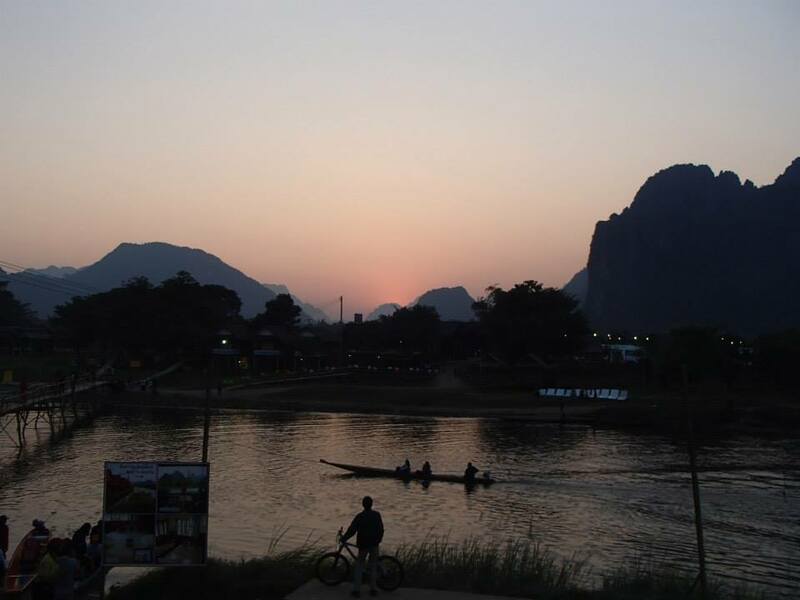 But my friend Ruth and I had a blast travelling through north Thailand, Laos, Vietnam and Cambodia, before flying back to Melbourne just in time for the start of uni. Returning to Melbourne felt like I was coming home. It was so amazing to see my boyfriend Anthony after three months apart (he’s one of the local students that showed us around during Melbourne Welcome) and the city felt so familiar and welcoming – quite a contrast to when I first arrived in Melbourne. Rather than the start of term being a mad scramble to make friends, find a house and get to know the city, I instantly felt settled and I vowed that I’d make the most of my final months, which I knew were going to fly by. It was great to get to know the new batch of exchange students, but I also had a solid base of friends from my first semester and so didn’t feel pressured to forge any friendships for the sake of not being alone. After a great semester of challenging study and incredible trips around Victoria and to Western Australia, my final few weeks were soon upon me. During this period, I remember finding it unbelievable that soon it would all be over and that my new home and the life I had made there would be merely a fond memory. I found it frustrating that there were so many things I still wanted to do, but the ever-present threat of deadlines and exams meant that I could no longer jet off to a corner of Australia like I had grown used to. 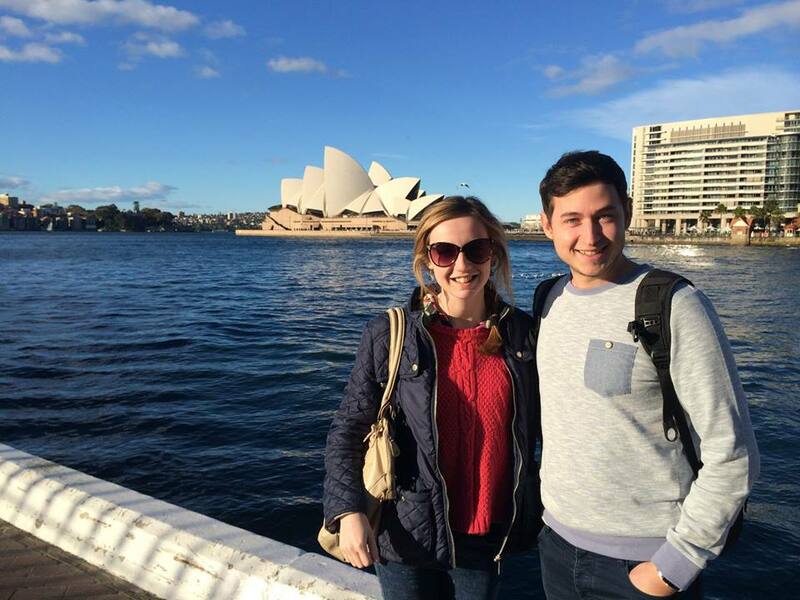 Instead, Anthony and I planned a trip to Sydney and the Blue Mountains for after exams, the last chance I’d get to travel before returning home. The gap between the end of exams and our trip was hard for me. Many of the people that had made my year abroad left for home one by one. Gradually, the Melbourne I’d known for a year was becoming more and more unfamiliar. 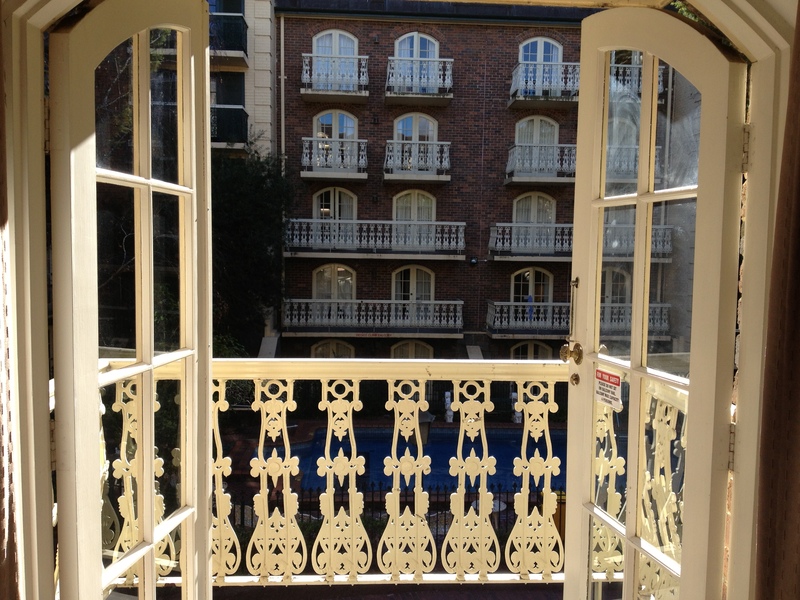 The trip to Sydney gave me a chance to get out of the city and have a breather. 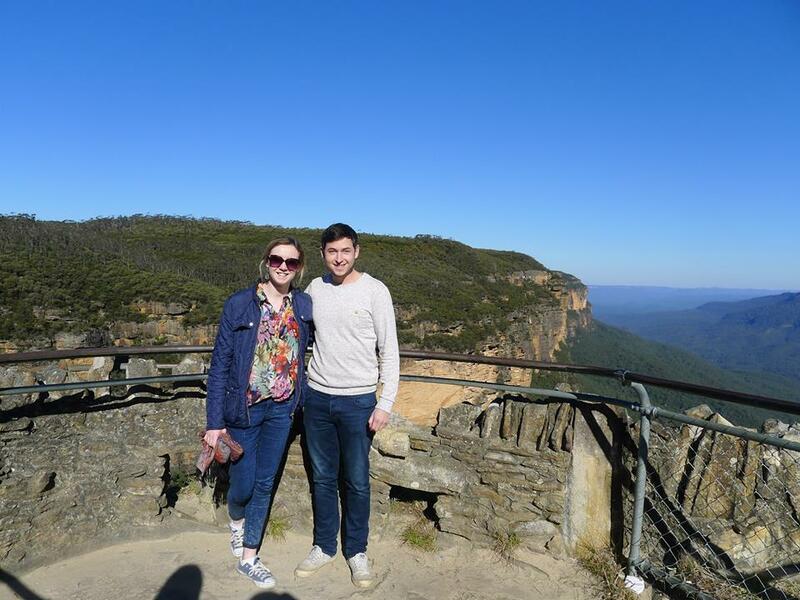 We spent a fantastic week sightseeing in Sydney and exploring the beautiful Blue Mountains in a campervan (despite it getting to freezing at night when we were camping!). 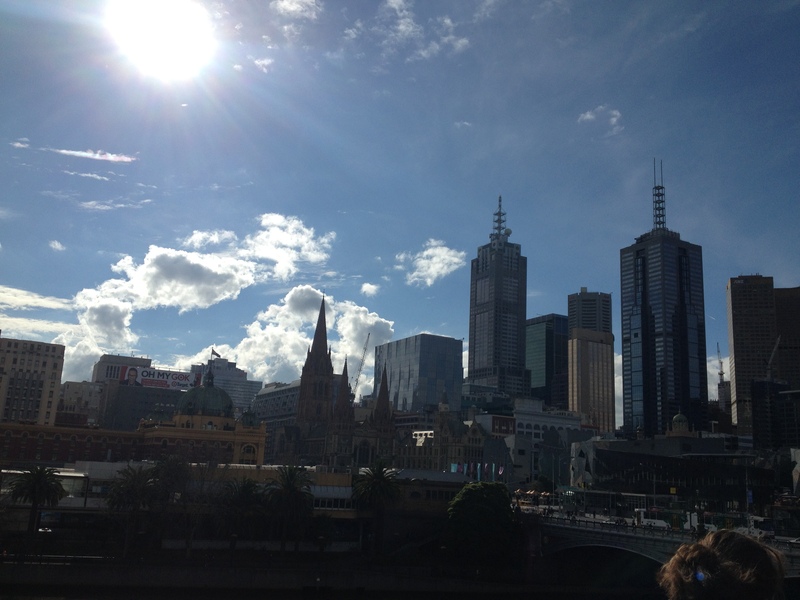 When I returned I found it much easier to start saying goodbye to Melbourne. Nearly all my friends had left now, so there were no more drawn-out goodbyes. I spent my last few days pottering around the city and appreciating every last minute. It was obviously really hard to leave Anthony, but my journey home was much easier than I expected. I began to think about what was waiting for me at the other end: friends, family, home and a British summer (I was leaving winter in Melbourne). Being at home again was like breathing a sigh of relief, I hadn’t realised the effect that awaiting my departure had been having on me. It was comforting to be back in a stable, familiar environment, where I knew nothing was going to change dramatically for a while. It’s a massive cliché, but nothing has changed at home. I’ve slipped back into this life as if I’d never left it, but I feel different in myself. This year has been so good for me. I feel more confident, I know that I can land in a country with nothing but my suitcase and a scribbled address of a friend of a friend and make a life for myself. I feel more mature, I studied harder in this pass or fail year than I ever did in Manchester. I’m excited and motivated for my final year in Manchester; this year exploring Melbourne has made me want to explore Manchester in the same way. I can’t wait to have my international friends to visit and to visit them over the coming years. Finally, I’m excited for what continent, country, city I’ll be calling home next, as being abroad for a year has only made me want to see more. 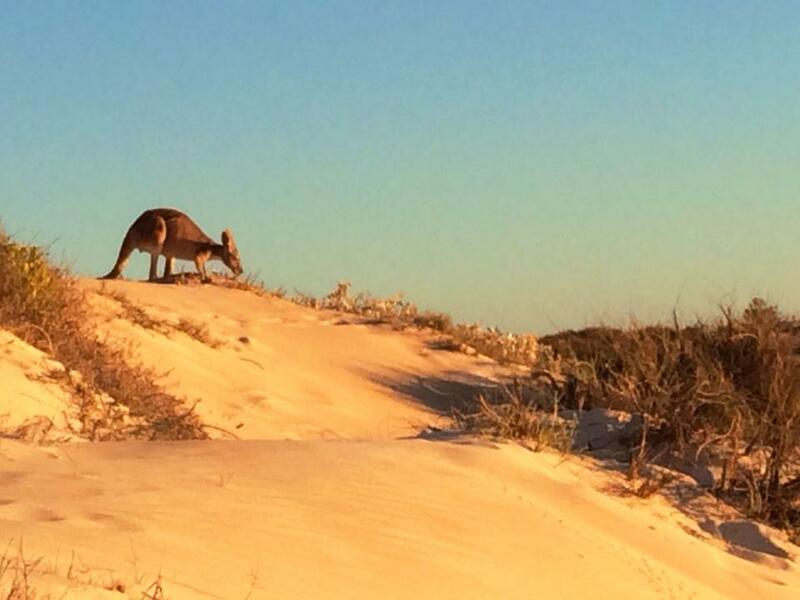 During the Easter break I was lucky to have my parents visiting Australia. 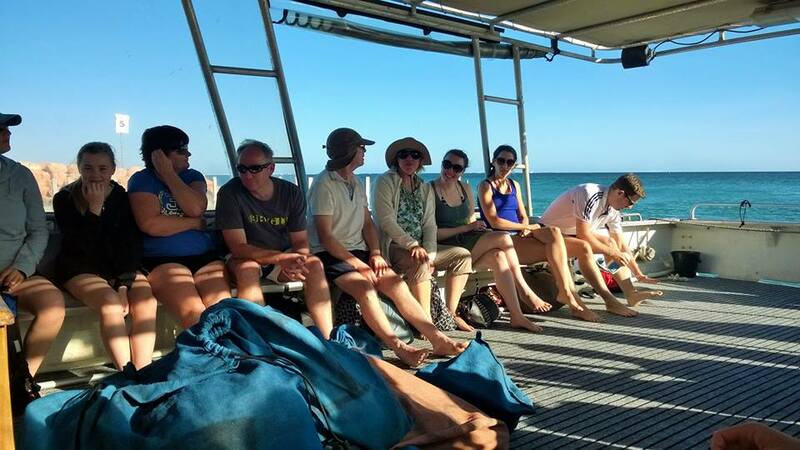 After a very stressful few weeks of deadlines, my mum, dad, sister, boyfriend and I flew out to Western Australia to enjoy two weeks of snorkelling on one of the most spectacular coral reefs on the planet, Ningaloo. After a 6 hour flight (Australia is so big!) we arrived at the smallest airport I’ve ever been to, Learmonth, near Exmouth. Apart from boasting the new addition of a cafe, it was literally a room with arrivals at one end and departures at the other. We hired a car and made our way across the baked landscape to the town of Exmouth, one of the very few settlements in that part of Western Australia. Its population is about 2000 and the place relies heavily on tourism. 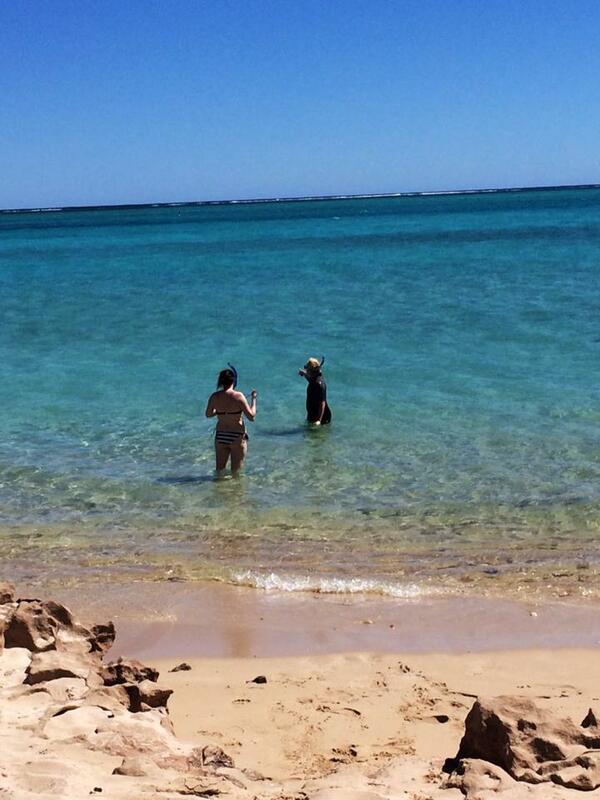 We spent our days in Exmouth exploring the almost deserted coastline; the snorkelling was really incredible. We couldn’t believe that all it took was to wade out a few meters and dive down and you’d find yourself surrounded by colourful fish darting around impressive coral formations, as well the occasional sea turtle or stingray. My dad reckoned he saw a small shark too, but I wasn’t too jealous of that! As well as Exmouth we stayed in Coral Bay, and this is where I did encounter a shark, in fact the biggest of all sharks, the whale shark. 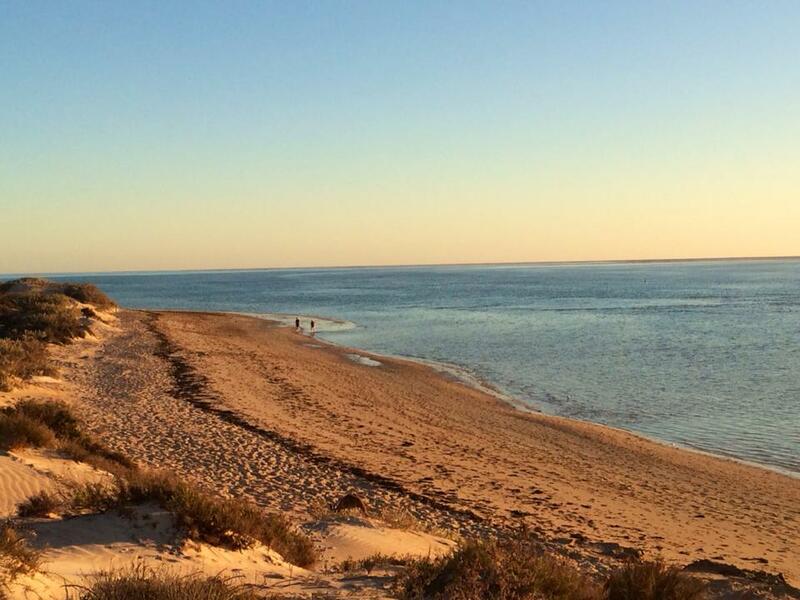 The Ningaloo Reef is lucky enough to be the home of migrating whale sharks; an opportunity we were not willing to miss. The day we went whale sharking was undoubtedly the best day of our whole trip and an experience I’ll remember forever. However, it didn’t go as smoothly as we had hoped! Once we were ready we had to sit and wait on the deck. Another group had beaten us to it and were already swimming with the shark. We sat and waited and waited and waited. After quite a while of patiently sitting in our snorkel masks, the group became a little restless. 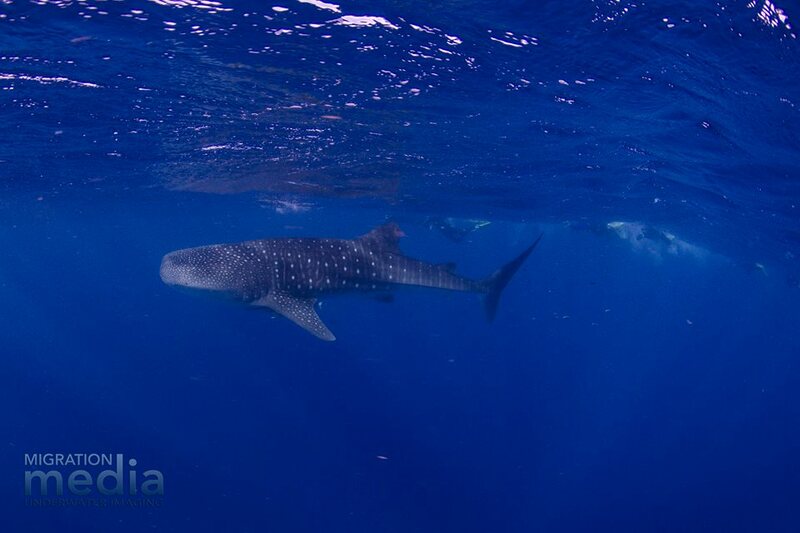 Eventually, our crew informed us that the whale shark had dived. We’d been waiting for it to resurface but unfortunately, it didn’t look like it was going to be back anytime soon. Disheartened, we peeled off our snorkel masks and wetsuits and instead of jumping into the water to swim with an ocean giant as anticipated, lunch was served. We were encouraged not to lose hope, but as the day wore on and the tally of sea-sickness sufferers grew ever larger, the positive mood on the boat dwindled. Our crew tried in earnest to keep the positive feeling going, but as the end of the day neared, the chances of us seeing a whale shark became quite unlikely. It was just as we were about to return to land that we got a call from the spotter pilot. Unbelievably, he’d been on his way back to land when he’d spotted another whale shark, however, due to flying for hours on end, he’d run out of fuel and so had no choice but to land. Thankfully, he’d had just enough time to tell our crew the location. Before we knew it we were again racing across the ocean at full pelt whilst clambering around, getting ready to enter the water. Until this point I’d been flat out on the floor of the boat trying to fight the inevitable waves of nausea that come with spending an entire day on a rocky ocean. With news of the sighting however, I, like the rest of the group, was eager to be ready in time. It wasn’t long before we came to a halt and were receiving urgent instructions on what we needed to do in the moments that would follow. We were lined at the back of the boat, one of the crew members jumped in to locate the shark and then signalled for us to join her. Because of the choppy sea, as I stood close to the edge and was instructed to jump in, it was a big drop into the water and when I hit it, it took a while to compose myself and find the group. As I turned to see them swimming away from me I saw it. I couldn’t help an “oh god” escape through my snorkel. The whale shark was 5 metres long (actually quite a small one, they can be 12 metres!) and it was swimming towards me with its famous mouth stretched into a wide oval. Before I knew it we were hauling ourselves onto the boat gasping for air. I was surprised at how tiring it was to keep up! Luckily that wasn’t it, and we were able to do another 3 dives with the shark. It was incredible being in the huge swell of the ocean with the creature. If I popped my head above the water I was surrounded by towering waves and could just about see a huge dorsal fin slicing through them ahead of me; amazing! A very memorable moment was when I was waiting to get back onto the boat when a shadow beneath me caught my attention. Another, unidentifiable shark was swimming at a greater depth. I shouted in shock, “There’s another shark! !” and was promptly directed to get out of the water and calm down. I later found out that despite rarely attacking humans, unlike the whale whark this shark, a bronze whaler, is regarded as dangerous. I’d been so absorbed by the whale shark I’d had no idea we had other company! After our final dive we headed back to land just as the sun was setting, a very happy group. I couldn’t believe that half an hour before I’d been in the open ocean with a giant. It was truly incredible. I would recommend the experience to anyone. Although expensive (around $400), it was 100% worth it and already I want to do it again, but when, I don’t know! 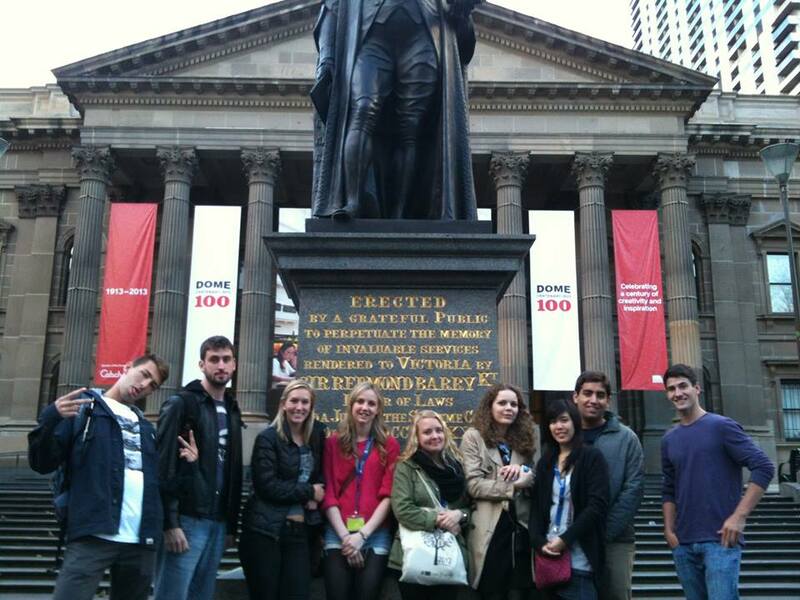 For me, studying in Melbourne has been very different to studying in Manchester. Considering that Australia is such a young country, Melbourne University is one of the earliest established and prestigious universities in Australia, and Australian students have to perform insanely well in order to make it into the university. Those who make the cut take Melbourne Uni life extremely seriously, they really do STUDY and the atmosphere is highly competitive. As an exchange student (who only needs to pass the year!) I’ve found myself working harder than I ever did in Manchester just in order to keep up with my classmates. I don’t know if you’ve had the same experience, but in Manchester I found that in what tutorials I did have, students were not particularly vocal or engaged, despite staff’s best efforts! However in Melbourne, I have far more tutorials and students in them are highly involved, people aren’t shy to spark discussion and debates and often, people battle it out in order to have their say. At first this was pretty daunting, as being new to the place I didn’t want to draw too much attention to myself. However now I’ve completely settled in, I find myself getting involved more and more and as a result, I’m getting so much more out of my modules, as it really helps me to get a grasp of the course material. Another thing I’d say is people come extremely prepared to tutorials. If there is reading to be done, it’s been done by the vast majority of the class, and it’s expected of you to have something to say about it. In fact, if you haven’t done your prep you’re almost looked down on. One time I admitted I hadn’t had the chance to do my reading and my discussion group looked at me rather baffled. I think it’s because most third year Psychology students at Melbourne are aiming to go on to do their Masters, a highly competitive programme for which only the top students are selected. And pretty much everybody wants to make the cut. Lectures are almost identical to Manchester however again, I’d say I’ve found people far more vocal. I’ve also found that a few of my lecturers are really big names in their field and so researchers that have come up with important psychological theories have actually lectured me on their work which is pretty impressive and engaging. 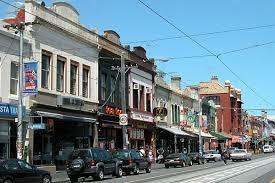 Brunswick Street, one of Melbourne’s favourite watering holes! This isn’t really academically related, but one thing I’d say about Melbourne is that the uni culture is extremely different to Manchester. In Manchester you can pretty much go out on any day of the week with a tenner in your pocket and roll in at 4 am after a night’s worth of partying. However Melbourne’s night life is more low-key and bar orientated and there’s not really such thing as student priced drinks as we know it. Put it this way, you won’t find a $2 Jaegerbomb ANYWHERE! People on the whole go out earlier and places don’t tend to stay open until the early hours (with a few exceptions). 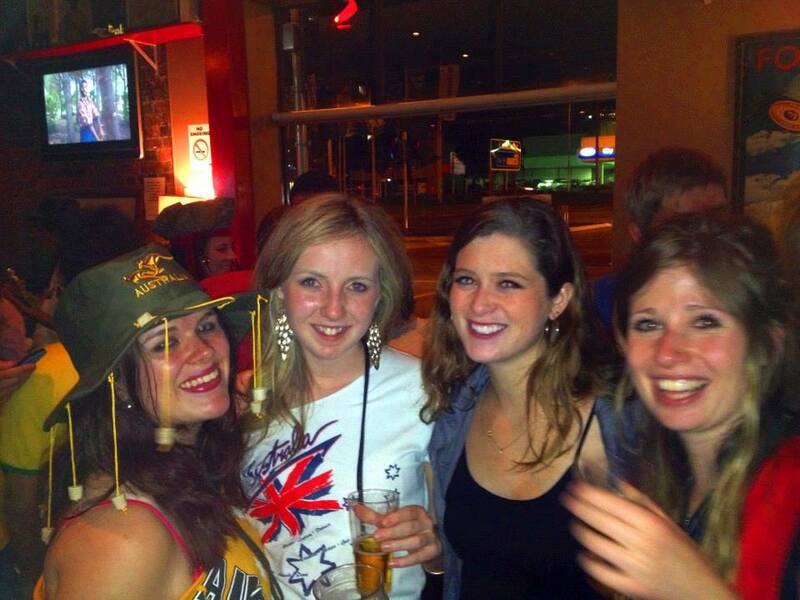 In fact, Australia as a whole tries very hard to discourage binge drinking, which from my experience is rather different to student life in Manchester. So as a result, people are usually pretty fresh in Uni, I’ve very rarely seen someone lurking at the back of a tutorial keeping a low profile after a mad one, or if they are, they don’t show it! Another thing is that many students live at home and commute to uni, whereas back home most of us live at uni. This is simply because the distances are so vast between cities that most people go to the university closest to their home (as well as accommodation being incredibly expensive). It means that there’s no student hub similar to Fallowfield or Withington, and students are spread right across the city. At first I found this really strange after two years living in Fallowfield being constantly surrounded by students. However now I love it! It really feels like I actually live in Melbourne, whereas back in Manchester I definitely felt I was in a bit of a student bubble and rarely ventured into the city centre at all! So to sum it up, in Melbourne I work harder and drink less. That sounds really boring doesn’t it?! But honestly, it’s felt like a practice run for real life, a really good transitional period leading up to graduation and the real world. Despite only needing to pass the year, it’s made me a more conscientious and competitive student, which is great preparation for final year back in Manchester. You pick and choose where and when you want to go out, and Melbourne’s world famous laneway bars certainly don’t disappoint. And anyway, if you’re looking to have a wild one there’s still a wealth of really great places to go to, just a tenner isn’t going to get you very far! By Dinah Whitear (University of Melbourne, Australia). 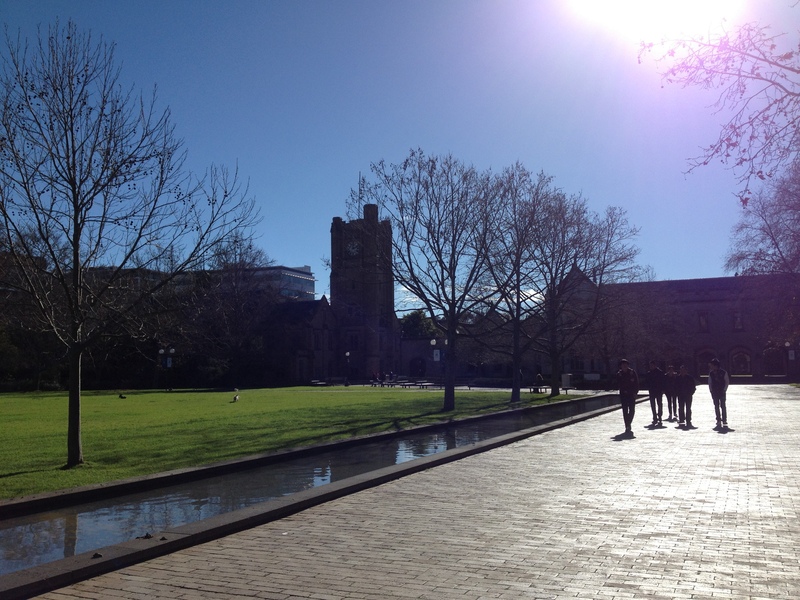 Personally, Melbourne University brought many challenges to my plate. The structure of their degrees, for starters, is quite different to how my degree is structured back home. And that’s not too much of a surprise – of course if universities within the same country vary considerably, universities across different countries are, too, going to have very different rules to what you are used to. So this change is something you should expect. Adjusting to the system here for one semester only has been quite testing and I do feel as though I have had to have quite a high turn-around to be able to go from one academic system to the next within one year (it will probably take a little while to get back into Manchester’s way of life when I go back home too). However, this in itself is a very valuable experience to go through and may actually help to show employers that you are adaptable and can take on the challenge of a different culture. So this has been a positive. One thing I would suggest is to make sure you know exactly what you’re going to be doing abroad in terms of course units, and make sure you have discussed this thoroughly with your programme director at Manchester beforehand, so that you are both clear of what you’ve got to do. I think this is probably where I have found things the hardest – matching up course units so that I don’t miss out on anything vital has been tricky, and has actually meant that I have to do a few of Manchester’s modules on top of my full-set of credits here in Melbourne. This will obviously vary for degree programmes but is something to consider. And of course the time difference and not being able to just pop into University back at home makes things harder as you have to rely on the relay of information by email, which can be long. However, experiencing university at a different institution can make you realise what you’re missing out on at your own home university. 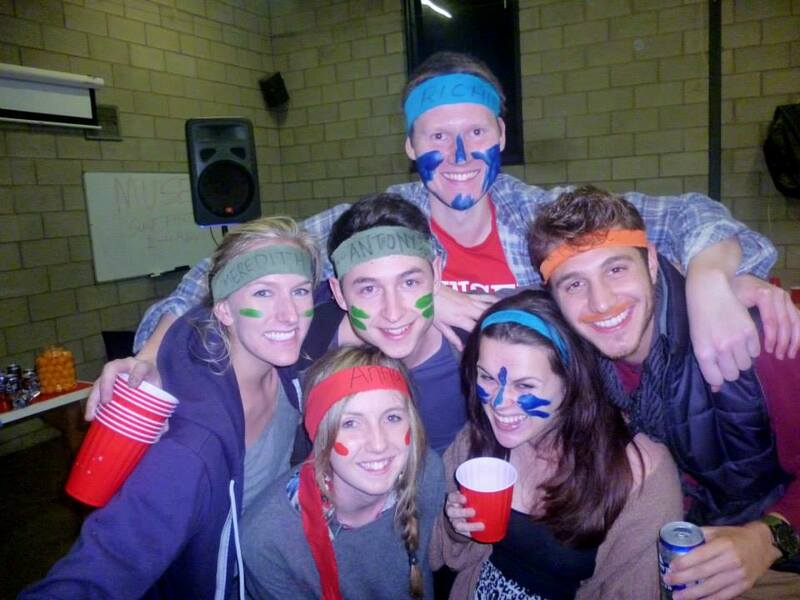 For example, the on-campus activities at Melbourne university are far from few! There is always something going on, and that is great! There is so much free food on campus, and as a student, or anyone for that matter, this can really make a difference to your day! Of course, in true Aussie style and their love for BBQ’s, sausages and veggie burgers are the cuisine most up for grabs, and I’ve no doubt had my fair share! I think it’s also important to remember that you do actually have to do some work. I know most people think that just because you’re abroad at another university means you mustn’t have any work to do, but especially for me coming for a semester where my grades count towards my degree, there is a very difficult work-play balance to juggle. Again, this takes some skill to master, but is another one of those things you could say you learnt to develop when talking to future employers! I only say this because you’d probably be quite wrong in thinking that it’s going to be easy studying abroad – all you have to do is get there and you don’t have to worry about anything but going out and having fun, right? Hmmm, studying abroad has definitely put a strain even on my organisational skills as there are a lot of applications/deadlines to do before you even get there! I think this is all part of the process, though, and has helped me to learn a lot about being pro-active and independent and just taking things as they come. It’s strange because I don’t feel as though it’s just Australia that I’ve travelled to. Meeting so many other international students from all walks of the world has definitely made this experience even more of a cultural one! My roommate was Australian, which I’m so glad for as I feel as though I’ve got to learn about other parts of Australian culture that you can only really get from actually being friends with an Australian! I’ve also met some other great Australians, but aside from that, I have met and made friends with people from all over the world – North Americans, Scandinavians, Asians, other fellow Europeans, to name but a few! This has definitely widened my view point on many aspects of life, and in a weird way makes the world seem a lot smaller and less daunting than I had previously thought. Also, it now gives me the excuse to go and do more travelling and visit all these people! For me, travelling played a big role in why I wanted to study abroad, but since being here, I’ve realised there’s more to moving away from home than just travelling. Trying to avoid being as cheesy as possible, I will say this: moving away from home for any amount of extended time, whether it’s for a semester or for a year, definitely brings its challenges, but it’s that that gives you the space to grow a bit more than what you may have done at uni back home. Being in Australia is pretty much as far away from home as I could get. I didn’t really have the option to go back home, even if I wanted to. But I’m glad I did it. Now anywhere I go in the world, anything I do, will seem that little bit much easier, as I have now been there and done that. 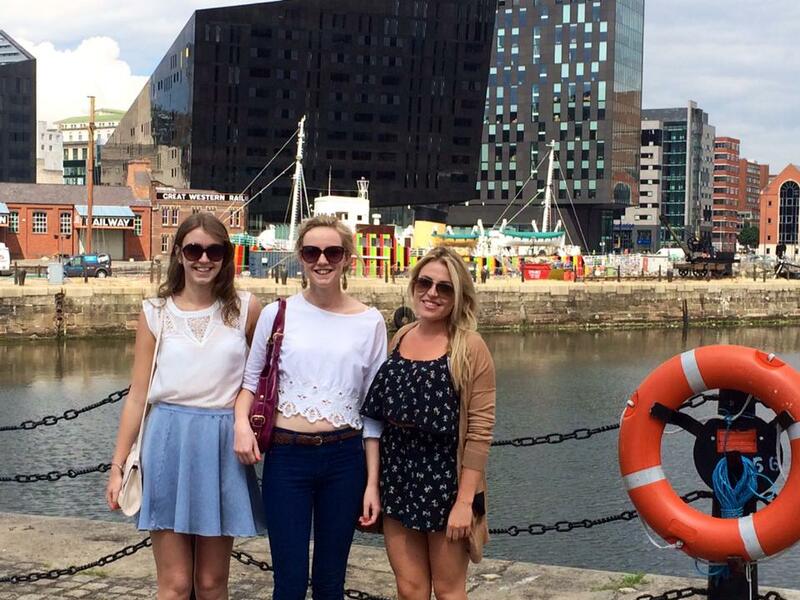 For many of you, studying abroad will not just be about the studying. You will no doubt want to travel and explore the country you will be calling home for a few months. For me personally, living in Melbourne has been quite different to how I had originally expected it to be. For starters, I was warned by family that live in Perth, a city on the Western side of Australia, that if I was going to Melbourne for the weather, I might as well stay in England! I laughed it off, saying it can’t be that bad and although it isn’t strictly true, he hasn’t been too far off! Going to study abroad in Australia, I imagined myself strolling off to the beach after lectures, barefoot, watching the sun set in some beach shorts and a t-shirt. Although this may be the case for some exchange students in other parts of Australia, I have to say this hasn’t quite been the case for me in Melbourne. This is mainly due to the fact that for the majority of my semester it has been either Winter or Spring, but also as a result of Melbourne’s very Southern location in the country. For those of you who feel I have shattered your daydreams of beaches and Sun, fear not, because there are still so many great things about Melbourne as a city that do make it, I have to say, 100 times better than the city of Manchester! (And also, weather is really picking up at the moment – we’ve had a few 30 degree days recently, and it’s only Spring!) So in search for some true Australian experiences, I began to plan some weekend trips that would get me away from the city for a while (like any big city – and Melbourne is noticeably bigger than Manchester – it’s nice to venture away from the hustle and bustle for a few days),and it would also give me the chance to explore more of the surrounding area. First up on my checklist was a surf trip. I knew right before I came here that joining the University’s surf club was top of my list. It goes without saying that Australia is pretty well known for the water sport and so was something I couldn’t go home without trying! So when the opportunity came about, I signed up for a surf trip as part of the club that meant going to ‘Apollo Bay’ along the Great Ocean Road for a weekend. 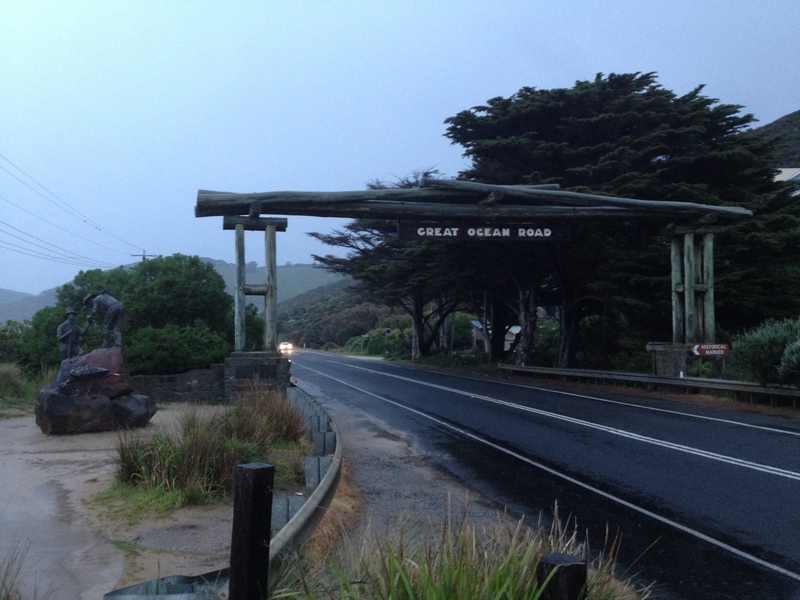 The Great Ocean Road is known to be one of the world’s most scenic drives and is an Australian National Heritage, and I fully recommend! We had to take a train to get closer to the coastline but once we were there we caught a coach to the backpackers’ accommodation the surf club had arranged. The drive there was beautiful – we were basically driving on the beach we were that close to the sea! So the next day involved about a 20 minute guide to surfing by the surf club (they were pretty chilled out about the fact there were roughly 30-40 of us going out into the sea to surf for the first time!) and with that, it was our turn to give it a go! I felt like I had no idea what I was doing, but after a while, I came to the conclusion that surfing isn’t as hard as it looks. Well, I couldn’t actually stand up – crouching onto my feet was as far as I got, but this was my first time and we had only been in the water for about two hours, so I felt like I had achieved something. We went back in the next day, but this time to the harder side of the beach, and that’s when I appreciated the fitness required for such a sport – the waves were so much more powerful and more frequent this time, I did kind of feel like I was being beaten up, but nevertheless, it was a very fun experience! So overall I had a really enjoyable time at Apollo Bay – it was a very lovely, peaceful town surrounded by some beautiful countryside. If any of you get the chance to go, I’d definitely recommend it! So after a little taster of the Great Ocean Road, me and some other exchange students decided that this time we wanted to go further along the stretch of coastline to reach the ’12 Apostles’ (a collection of limestone stacks just off the coastline – there are in fact fewer than 12 now, although they do still call it that) and also to discover some more around the area. This time we decided to rent our own campervans through a company called ‘Wicked’ and that was definitely an experience to say the least! So a few days of our spring break was spent driving and sleeping in these vans, camping style. It did definitely involve leaving all those luxuries at home, let alone having to get away from technology as all our phones began dying on us, and with nowhere to really charge them up, we were left facebook-free and un-contactable for a little while, which was nice! So with very few plans in mind, we all set off for an adventure. Unfortunately, a few hours into the drive, the clouds began looming and before we knew it, we were parked up in some car park, rain chucking it down, with a dead battery in one of the vans. How did this happen?! Luckily, we had guys on our trip with us who knew a thing or two about cars and once the rain had cleared up, had to jump start one of the vans. This misfortune was a recurring theme on our road trip it has to be said. With pretty awful weather, rickety vans and nowhere to camp, we were setting ourselves up for a challenge. Looking back, it is a hilarious story to tell and just shows that not all things go to plan (not that we did have much of one to start with!). But these are all good stories and we had an experience nonetheless! Despite the challenge of the previous road trip, me and a few other friends decided to embark on another weekend trip just before the start of exams, this time to Tasmania! Tasmania is a State island just off mainland Australia. 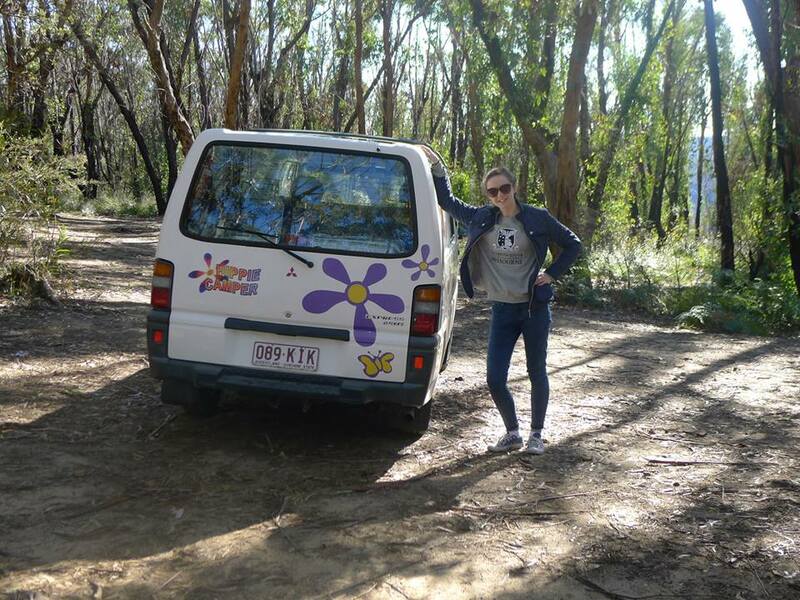 We got a cheap ish flight over there with JetStar (one of the main budget airlines within Australia) and collected our campervans once we got there. We were very nervous of the weather, knowing how much it impacted last time, but we couldn’t have been more lucky! With the Sun shining, we could go out and appreciate the beautiful island of Tasmania, and it really was amazing! I had the best time there! I didn’t quite realise how scenic the country is, but with so many National Parks, we were spoilt for choice! On the first day, we set off to Freycinet National Park, where we did a few walks and visits to various beaches. The next day involved a sea kayak around one of the well-known bays, ‘Cole’s Bay’. We then headed back down in the direction of Hobart, the main city of Tasmania, and stopped by at Mt Field National Park, where we were immersed in a rainforest with amazing waterfalls. We then went down to the city itself and visited a much-talked about museum – the ‘Museum of Old and New Art’, better known as ‘MONA’. Not much of an artist myself, I found this a very interesting experience, in fact quite disturbing as ‘modern art’ was really taken to the next level! As an example, they had an artificial digestive system as one of the pieces, something that they actually fed and left to excrete in much the same way as a human body – I can’t say it smelt very nice in there, that’s for sure! At the end of an amazing weekend jam-packed full of stunning beaches, bays and mountains galore, it was time to head home for the start of the dreaded exam period. It has to be said, though, that after a few days well-spent amongst all the nature Tasmania had to offer, revision was made that little bit easier. 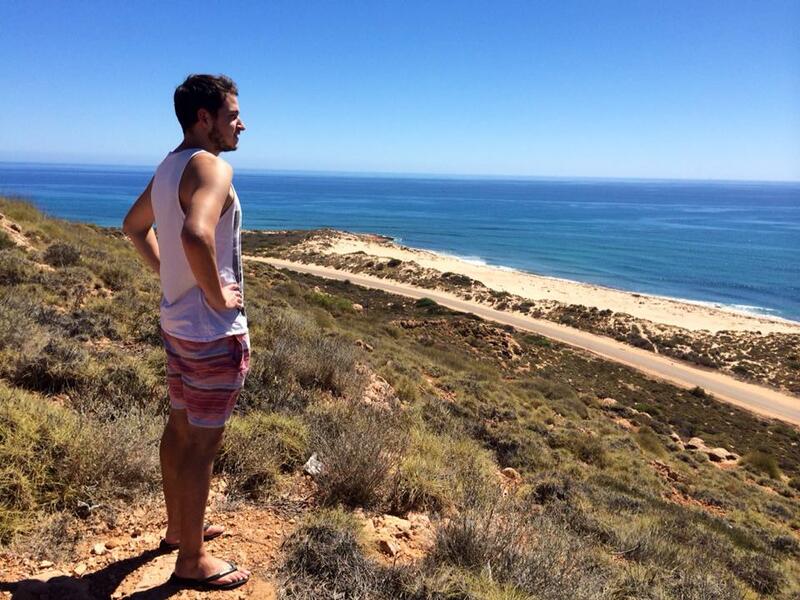 So I hope this blog has helped you to realise the number of opportunities you get to go travelling even whilst studying abroad. It has to be said that I have had a lot of work to do, but when you’re in such an amazing country as Australia, you’d be crazy not to take time out and go and explore. The above trips are the three main long trips I’ve had, but there are also so many day trips to get involved in too! We spent a day at an animal park on one weekend, which was so amazing! 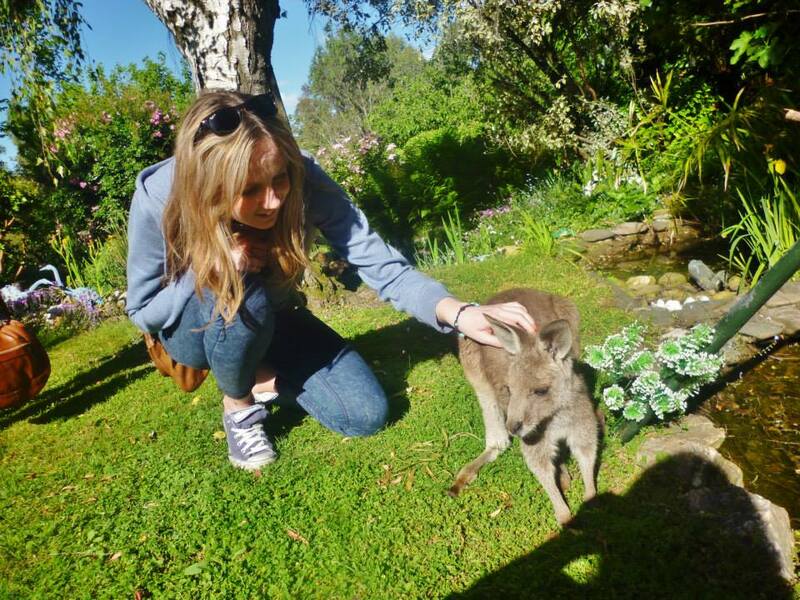 That was when I got to see my first kangaroo and koala, and I absolutely loved it! They are so much cuter in real life when you get to go up and feed them and get so close! Since then, I have seen a fair number of wild Australian animals and that really is the advantage of going on road trips, where you can stop off anywhere you like if you spot something you want to go and see closer. And I still feel like this is just the beginning. With exams almost coming to an end, it’s fair to say I’ve got my time-off before coming back to Manchester pretty booked up! With an East Coast trip of Australia all finalised and booked, I am hopefully going to be spending the whole of my end of November/December seeing some more exciting parts of Australia, and I can’t wait! Tomorrow will mark the start of my 9th week here at Melbourne Uni, and with only about 3-4 weeks of teaching period left, I’d say this semester has flown by! It actually scared me when someone said to me the other day ‘so you’re almost done here then’, when I said I was only here for a semester, and I guess it’s true! Well, almost done my actual study period – I’ve made sure I’ve left myself a good month and a bit of travelling time here in Australia afterwards so I won’t be jetting back home anytime soon that’s for sure! So for those of you looking to study at Melbourne Uni, you may be interested to know what it’s like and how the academic aspect differs with Manchester. Well, obviously I can only speak for my subject – I study neuroscience back home at Manchester but am part of the ‘bachelor of science’ degree here at Melbourne (I will explain why later) – but there may be some general aspects that apply to your degree too. So firstly, as I’ve already mentioned, I’m part of the ‘bachelor of science’ degree here at Melbourne. This is an important point to consider because Melbourne uni, like most other Australian and American unis I think, structure their degrees rather differently – instead of having to choose such a specialised degree from the start of your course, you usually only have to apply for a broad degree like ‘science’ and then you will only have to specialise at the later stage of your degree. So, if I were you I’d get in touch with Melbourne to find out what area exactly you should be looking to apply for because otherwise it can get rather confusing! Another thing I’ve had to get my head around is the fact that their degrees are four years here, and that’s not including an honours. That means their first year here is much like our last year at college before we go to university, their second year much like our first year at university, and so on. This may mean you may find some overlap in the subject matter in the courses you study here in comparison to Manchester but, as I said, this may only apply to my course and I’m not sure what it would be like in other ones. For this reason, I chose to mix and match the level of my course – I’m a second year student and decided to do three second-year level courses here and then one third-year level course. I have so far found this quite challenging, but in a good way. I do feel that when I go back to Manchester I will be better prepared for the demand of work since the third-year courses here are assessed in a similar way to the third-year courses back home; as a science student I am not used to doing many essays, but my third-year course is in fact 80% essay-based. I guess I do feel pretty intimidated by this but am hoping it’ll all be okay with some hard work! I have found the lectures here a little different to those at Manchester – I think the class size is slightly smaller, but the main difference being the intimacy of the lectures. I was used to having lecturers standing further away in our lecture halls at Manchester (in my classes anyway) – here, however, I find that they are practically on the first row! As a consequence of this closeness, I have to admit that I have found napping in lectures a lot harder! I don’t think I’ve seen a single person fall asleep here at Melbourne! I guess it’s a good thing and has taught me to switch on that’s for sure! I’d say the assessment, and therefore the workload, is quite different here for my course as well- for starters, I’ve had mid-semester tests, and quite a lot of them to say the least! This has meant that I’ve had to work a bit more consistently throughout the semester, something I have to admit I wasn’t at first used to. I think it works out quite well though as it means there is less cramming at the end of the semester and means you’re probably better prepared. I’ve had a lot of weekly online tests too -something I am used to back in Manchester – but the style of some has taken some adapting to! Here they do things called ‘blogs’, where it’s almost an online forum with several other classmates where you are assessed for your discussion over a certain topic. Something I have found dramatically different here, though, is practicals. In Manchester, the life sciences subjects are very lab-based. Here, I’ve had a total of 6 practicals in the whole semester, and that really is nothing in comparison to back home! They don’t seem to have a compulsory practical element like Manchester do, unless you specifically choose a practical-based module. It depends what you’re looking for, but for me, I’ve quite enjoyed the fact that I don’t have to do labs so frequently and the ones that I do do are pretty cool! I’m doing an anatomy module and so we’ve been designated four time slots throughout the semester where we spend some time in a dissection room – for me this was a real draw to Melbourne as I wouldn’t have had the chance to do this back in Manchester. I have found it really interesting and am so glad I’ve had the opportunity to do something I wouldn’t have done otherwise. So yeah, overall, I would say there are some differences, but in general I wouldn’t say it’s too much of a shock in comparison to the academic lifestyle we’re used to back in Manchester – apparently it’s a lot harder for the American students to get used to because they’re used to a different way of learning. The campus here is great though, such a nice environment to be in – more of a campus feel than a city, little bit more green and so much going on all the time! Although the libraries don’t have as accessible opening hours as those back in Manchester, you learn to work around it and the facilities really are good – I’ve had to get used to working with macs, as that’s pretty much all they use here!! As a last tip, I’d say make sure you have a good look into all the different course options on offer to you – it is pretty important to make sure you find something you think you will really enjoy! Good luck! And so the Melbourne Adventure Begins! 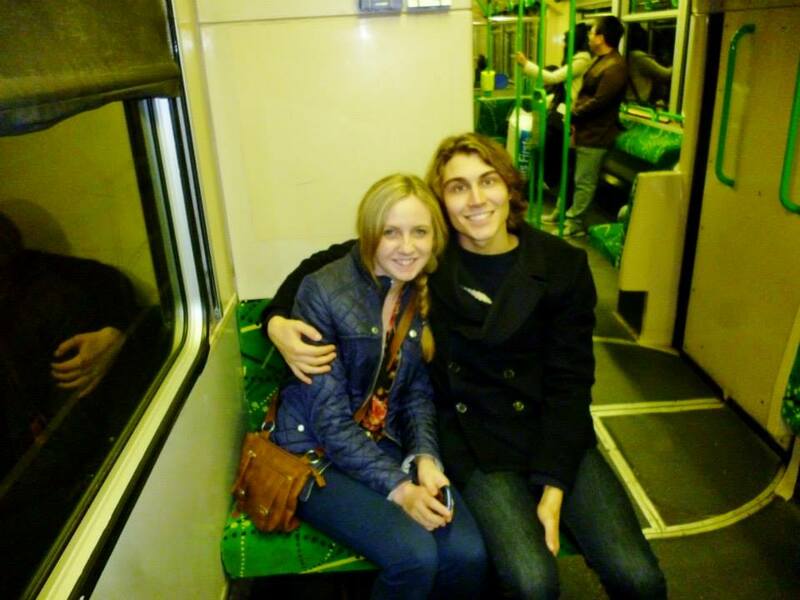 Ben and I on the tram! Anyway, Liam, Ben and I didn’t encounter any inspectors and made it to the gig without any trouble. It was in the centre of the CBD (Central Business District), the heart of the city, and this was one of the first chances I got to get a real feel of the city. First impression: I loved it. 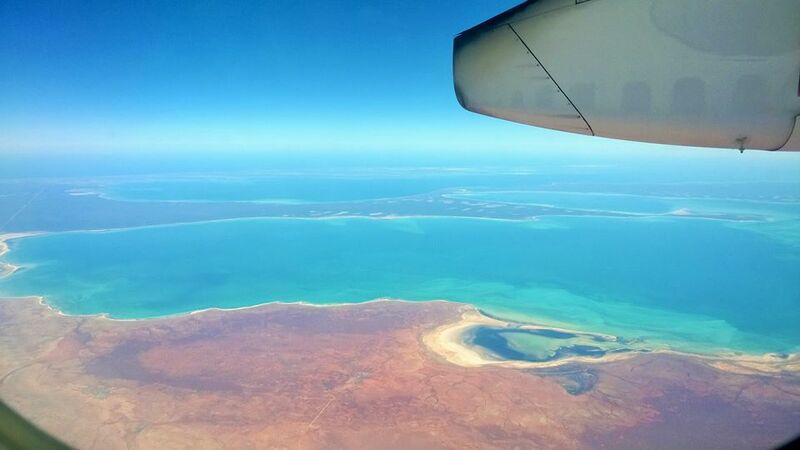 That night I met tonnes of Aussies – they couldn’t believe I’d only arrived that day. They were as friendly and fun as I’d imagined Aussies to be. Once my couple of days at Glen’s were over, it was time for my welcome week. For this I stayed at Trinity College (the posh one!) 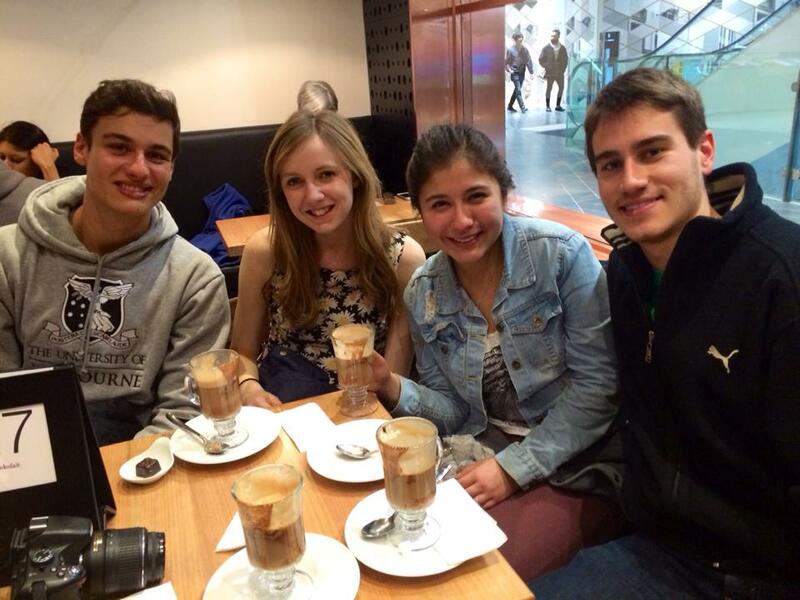 for four nights and it was a great chance to meet all the other international students. I’m so glad I did it! Brazilians, Americans, Danish, Dutch, Japanese, pretty much all nationalities were there and it was great to get to know people from all over. 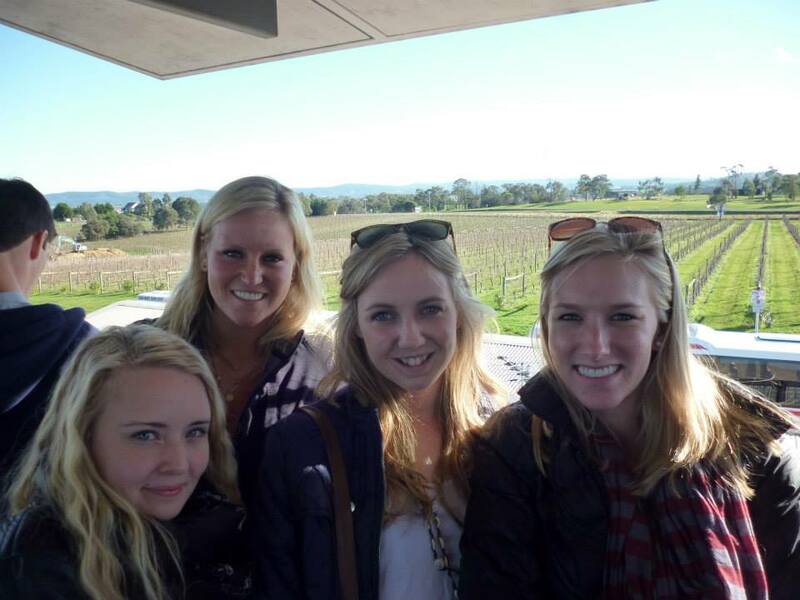 Our days were packed full of activities, including wine tasting at vineyards, tours of the city and an aussie rules football taster day, so we were constantly seeing the city and getting adjusted to aussie life. 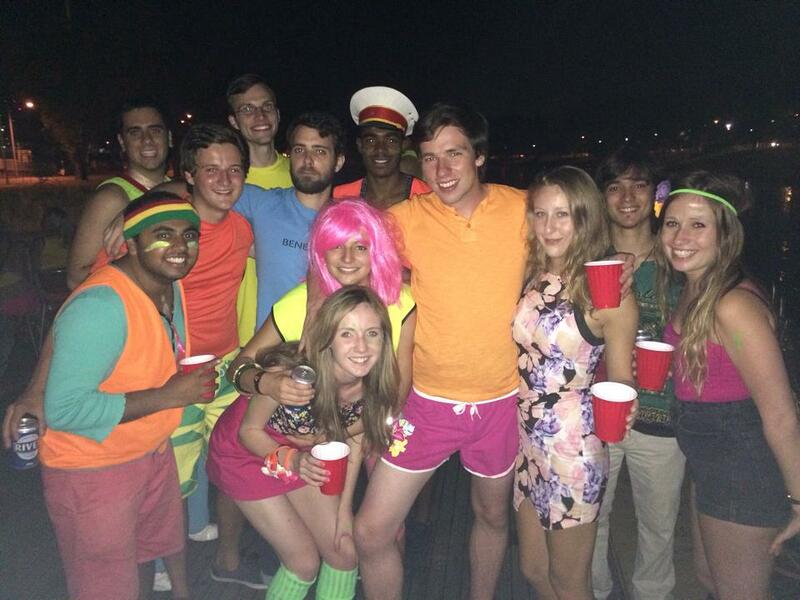 Probably the most memorable part of the week for me was our ‘Salsa Social’, but not for all the right reasons!! A salsa instructor came to teach us a few basic steps, which was great fun, at first. It gave us a chance to meet everyone in the group (albeit whilst being hip to hip, which was….interesting) and was a really good icebreaker. I was partnered with Naoki from Japan when the evening took a competitive turn. The room was divided in two and each side had to dance for the other, whilst the best couples were selected for a dance off. For some reason (to this day I don’t know) Naoki and I made it to the dance off. We did not know the steps. We did not have style. I think, we were in actual fact, the novelty couple. Anyway, the dance off happened and it was excruciatingly embarrassing. But nevertheless we stumbled though the steps and reached the end of the dance with our dignity relatively intact. The crowd then had to vote for their favourite couple and miraculously, for whatever reason (pity, being the most likely) Naoki and I were crowned salsa king and queen. It was really quite embarrassing. Anyway, the night went on. This time, we were learning the Merengue. Thankfully, Naoki and I didn’t make it to the Merengue final and as it came to the end, I breathed a sigh of relief. No more public humiliation. Wrong. Before I had a chance to reject my title of ‘Salsa Queen’ Naoki and I were again, asked to take to the stage. Cruelly, the instructor had another surprise in store for us. “So we’ve already seen what the Salsa king and queen, and the Merengue king and queen can do together. But what can they do solo? There’s no hiding now. Just yourselves and the music. Take it away!” And with that, we were ordered to dance for the crowd. Solo. Honestly, that’s the closest I’ve come to dying of embarrassment. After the ordeal, I was consoled by a kind Danish girl with “Anna, you were very brave”. My other friends merely said “we could not have done that”, so at least people felt my pain. Anyway, those were a few highlights from my first week in Melbourne. It was such a great week, the Melbourne Welcome was a perfect opportunity to throw myself into Melbournian life and I would 100% recommend it. Most of my current friends I met in that first week, which has given me a really solid social base, which is great when you’ve just move to a strange city where you know nobody. My only advice to you would be to steer clear of salsa dancing!!! So, after spending a few days in the comfort of a familiar friend’s home, it was now time to break away from the known and take my first steps into what I would be calling home for the next few months – student halls. These halls were something that I had pre-organised before coming to Australia. I had pondered over the subject of accommodation for quite some time and eventually came to the decision that ‘RMIT village’ – the said ‘halls’ – would be the best option for me. 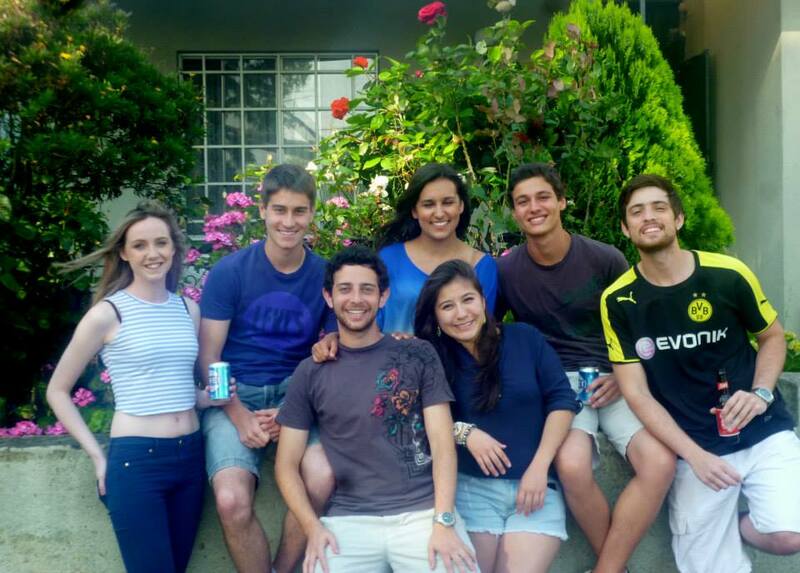 As I am only here for a semester, I wanted to make the most of every second and so I decided against finding a house share upon arrival as not only is the thought very daunting, I also wanted to be a part of a social atmosphere where I could meet lots of students, and I have definitely found that here! Of course there are other options regarding accommodation and it’s worth having a good look into – I would recommend going onto your chosen university’s website where I’m sure they’ll have a lengthy list of different options for you to consider. My place here is pretty cool – not only do we have an outdoor heated pool, a fully inclusive gym and a lounge, but the committee here organise a fair amount of events throughout the semester too. Something that is quite different to the student accommodation in England is that pretty much all of the rooms are room-shares, in that you have a roommate! I was quite apprehensive about this at first, but come to think of it I really wouldn’t like it any other way! I was fortunate enough to get an Australian roommate – something I really wanted because I think it’s important to remember where you are in the world and actually get immersed in the culture etc.! One thing that did take me by surprise is that the rooms here don’t have an oven (my roommate and I share a small kitchen and bathroom). I literally did a double-take when I first realised – it basically means no easy meals. 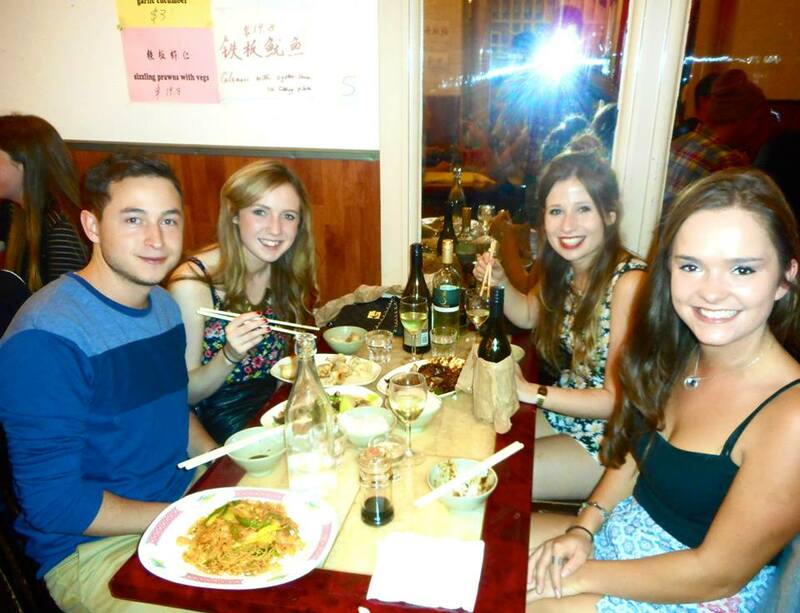 Accommodation aside, I spent the first week getting to know the people in the village – there was something called ‘o-week’, basically the equivalent of England’s fresher’s, and that was a great chance to meet the people I would be living with. The people I met in this week are still pretty much the friends I hang out with now. What was great is that they organised a few trips to orientate ourselves around the city – I got my first glimpse of the whole city and I was gradually learning to love it! The skyscrapers at night never fail to amaze me – they look so stunning! As the first couple of weeks went on I was beginning to learn the ins and outs of the city – don’t get me wrong, it took a bit of time and I’m still learning the names of the streets even now, but eventually you get there and that’s when you feel so chuffed that you’ve moved away to become a part of such a cool city! I swear it still hasn’t hit me! I think I’m gradually working out what Melbourne as a city is famous for; firstly, the amazing food and drink outlets (for anyone that knows me, it wouldn’t surprise them that this is my first thing on the list!) – but seriously, it takes so much willpower to resist the amazing smells you get as you walk down pretty much any street! For any coffee-lovers, Melbourne is the place to be! I’ve spoken to a few people who work in the cafes here, and to emphasise the lengths Melbourne goes to to produce top-quality coffee, they actually hire people just to pour milk! Only the very senior members of staff are actually allowed to make the coffee, because the standard here is just that high! Unfortunately though, coffee really is not my cup of tea so I don’t think I can appreciate it to the extent that some people do. I don’t mind though, because the food certainly makes up for it! Name any type of cuisine and they’ll have it here – known to be a very multicultural city, they even have designated precincts for particular cuisine. Lygon street, for example, is known as the Italian precinct and has an amazing variety of restaurants and ice-cream parlours! There’s even a China town here! And those are just a few of the many examples! 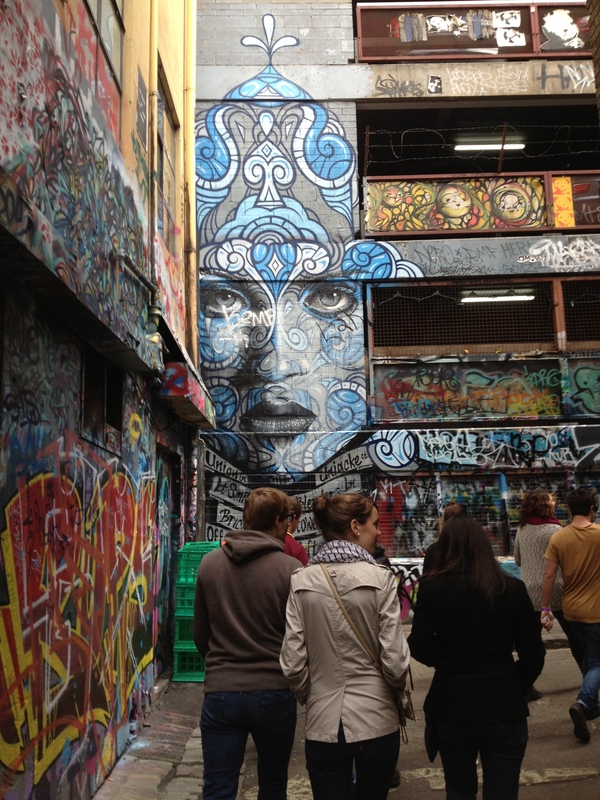 Melbourne is also known to be pretty quirky, with many downtown alleys with impressive graffiti art, lots of very cool street artists offering an array of talent, and just generally it has a very lively and fun atmosphere, with so much going on all the time – it’s pretty hard to keep up with it all! The second week in then involved taking my first look at the University I’d be studying at for a semester. I went along with a few people from my halls, but you gradually get broken off as you sit in on welcome talks for your particular subject area. I was pretty impressed with the campus at Melbourne I have to say! Usually with a city you expect everything to be so far apart, but unlike Manchester, the main Parkville campus means the majority of the university buildings are found within 10 minutes of each other, but most importantly, there are actually places to hang out on campus. The student union completely blew my mind! Again, not only was the food there amazing, but they have so many quirky places to just relax, with bean bags in the ‘library’ and a bar upstairs, bands playing outside in the sun, and so many free bbqs!! It really is a great place to be! I’d say what I found hardest about enrolement here was the fact you had to sort out your whole timetable practically by yourself! I was quite used to just having one pre-made for me but this time I actually had to register for particular classes, as well as sort out clashes and things that I had never really thought about before! It’s okay though because as an exchange student, you can easily pull out the ‘I have no idea what’s happening’ card and of course the staff are so willing to help! It may take a little while to get used to things but as you realise just how much there really is on offer, it’s so exciting! I’ve so far joined the surfing club, as well as the wakeboarding/waterskiing club, and I’m even considering volleyball! I’d say the best thing to do is get involved in as much as you can, especially in things that you wouldn’t otherwise be able to do back home, because let’s face it, when would you ever want to join a surfing club back in Manchester?? !